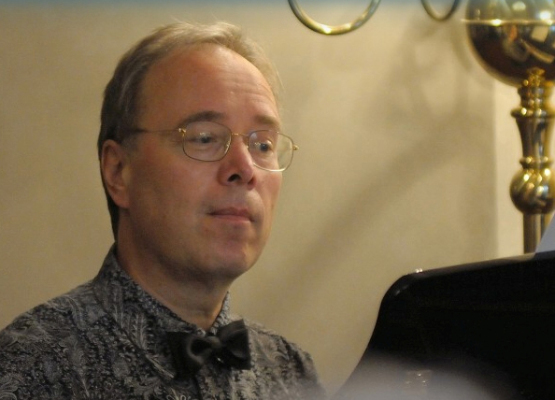 Milan Langer belongs to leading Czech music interpreters, he cooperates with prominent soloists and chamber ensembles. He has performed at concerts in most countries of Europe, in America, Kuwait, Japan, South Korea etc. While he studied at the Prague Conservatoire and at the Academy of Performing Arts with Valentina Kameníková he also took part in piano master courses with František Rauch /Weimar, Germany Německo/ and Guido Agosti /Siena, Italy/. He participated with success in numerous piano competitions, including the prestigious international competition events such as Bolzano, Santader, Moscow and the “Prague Spring” Competition, and has several laureate titles to his name. He has won Czech national competitions – the Smetana Competition in Hradec Králové and the Chopin Competition in Mariánské Lázně. Playing in the piano trio, however, has become his foremost activity – he has been member of the Czech Trio since 1994. Out of more than 30 music mediums /LP, CD/, which realization he participated in, and besides 9 CDs recorded with the Czech Trio /Bohemia Music, Supraphon, Arco Diva/, an exceptional attention was lately won for example by his solo recordings of the Piano Fugues by A. Rejcha and the Eclogues by V. J. Tomášek /Supraphon/ or in the USA edited “Dream Voyages for Piano” – compositions by the contemporary American composer Carl Vollrath /MMC Recording’s/. A large sense also has his activity as a teacher and organizer. Since 1998 Milan Langer teaches the piano-solo and the chamber music at the Prague Conservatory /now in the grade of a piano department head/, both Czech and foreign students. He is the initiator and the main organizer of the project supporting young pianists from 12 to 18 years The Young Piano of the Prague Conservatory and he also founded International Summer Piano Courses of The Prague Conservatory in 2008 which used to be now regularly held on the ground of this Central European famous music school /founded 1811/ every year. He leads master-courses and seminars abroad too /USA, South Korea, Japan/ and is a frequent member of juries of piano and chamber music competitions.